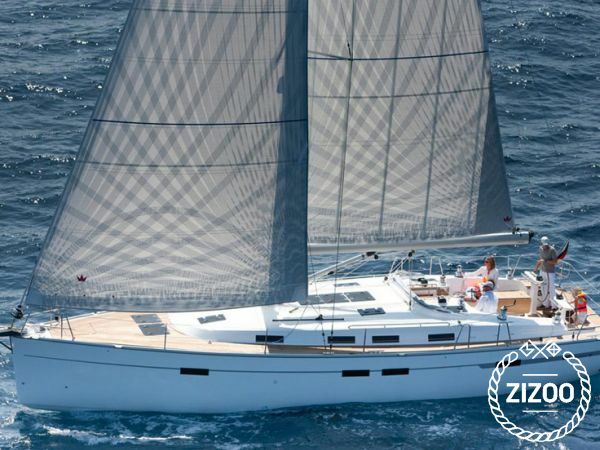 Experience your dream holiday onboard this Bavaria 45, built in 2012. With 4 double bed cabins and space for 2 more in the saloon, she is suitable for families, skippered charter or for those who just want the extra room. Enjoy windy sunny days and warm nights in her spacious cockpit that will comfortably seat all of your crew. There's plenty of deck area for sunbathing and reading, with foldable transom making an ideal swimming deck. You can't go wrong picking this one, she is a very popular model that won SAIL Magazine's Best Boats 2012 Award in the cruisers under 50ft category, and once you head out and hoist her sails, you will see why. Trogir is a great starting point to test this girl's abilities. It gives you easy access to the open sea, as well as islands to manoeuvre around. Adriatic Charter team are there for you to make sure you have a fun and safe holiday, all you need to do is kick back and relax.